Who owns the hotel bible brand? How can any business own their product category like the Gideons own the hotel bible category? I came across an interesting small business marketing site “I Love Local Commercials”. 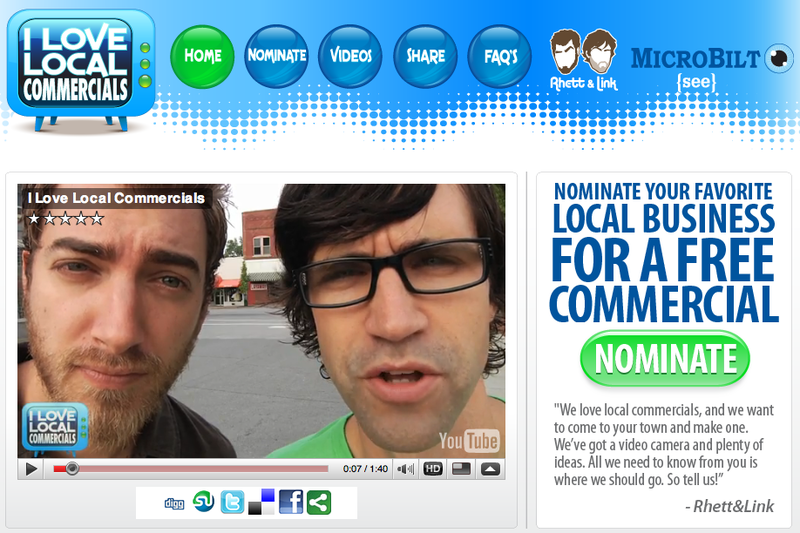 Two guys – Rhett and Link – ask their site’s visitors to nominate a small business to win a free commercial produced by their company ILoveLocalCommercials.com. So they actually don’t give away a free commercials to every small business owner who asks – the small buisness owner has to win first. How do Rhett and Link do it? Through sponsorship by a company called Microbilt. The concept of giving away free commercials which is really a twist on the “register to win a prize” tactic is subtle yet innovative. However, Microbilt most certainly has established their brand name as a result of their sponsorship. Rhett and Link’s work like the commercial below also appears to be effective for the medium. A question I have for Rhett and Link is – how come they don’t advertise and sell their commercial production services as well? I don’t know what to think of the following two brand images which appear strikingly similar to each other. Which brand has borrowed and blended their image from the other? 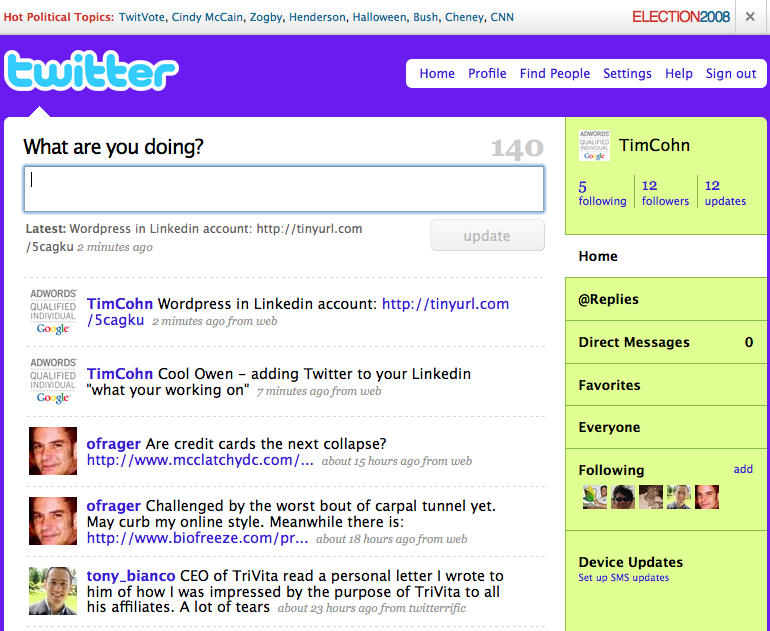 Linkedin Plus Twitter Equals Who Knows What? I just added my Twitter account into my Linkedin account profile after noticing Owen Frager had added it to his “what he is working on” Linkedin updates. 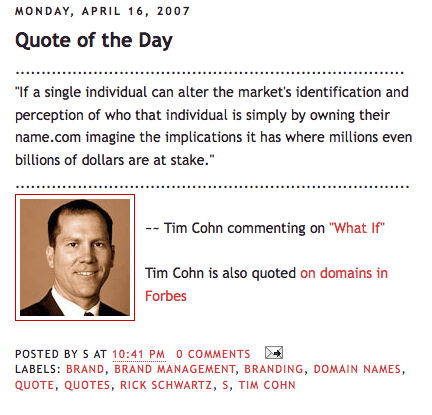 about how I missed the first offensive opportunity to control “my personal brand” – albeit my not so unique name – on that newfangled social platform called the world wide web way back in 1996. Granted, its hard to gauge in advance which social platforms will have the largest audience and reach after filtering out all their noise. However, not registering your “brand” in their databases early on can lead to remorse later on. The same holds true for individuals. 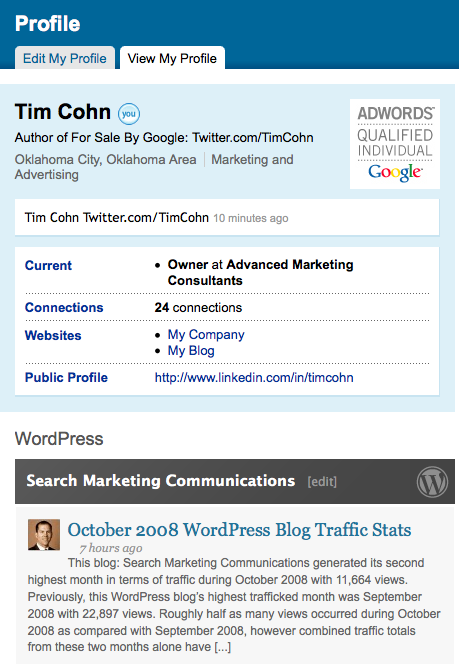 Sign up for a Linkedin account under your personal brand: your name. Don’t be disappointed though if you can’t. If yours is a common name – it surely has long since been registered. Registering your brands with these sites may not make you any money in the short term, but if and when social media platforms ever figure out how to make money for themselves let alone for their advertisers and users, wouldn’t it be better for you to control your brand name(s) on the most successful social media sites instead of someone else? 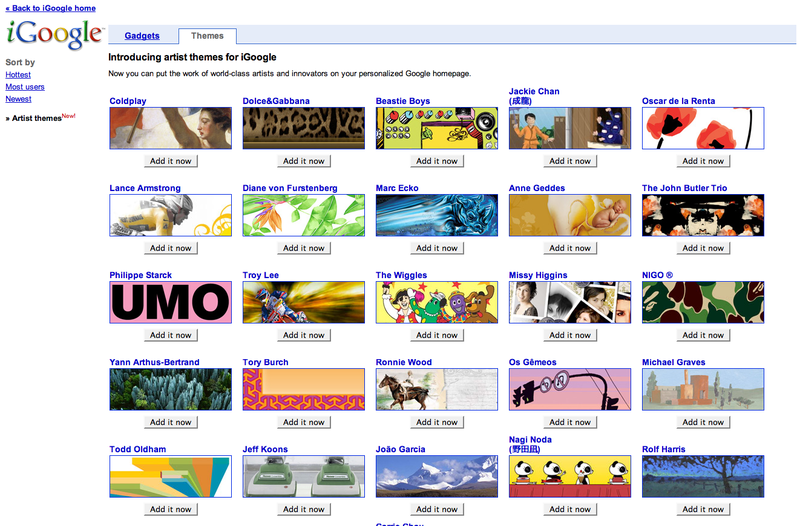 Google re-introduce an expanded roster of Artist Themes for iGoogle. 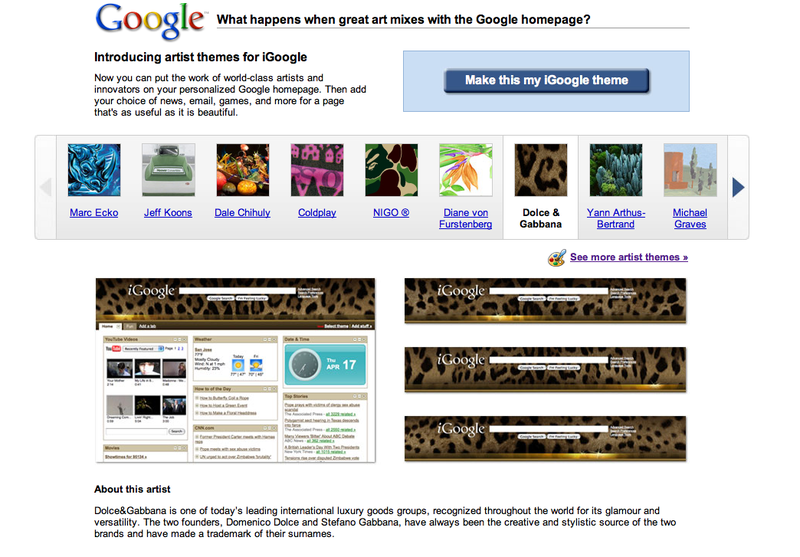 What if you could have your brand’s most loyal customers display your brand image alongside Google’s in your customer’s browser’s homepage? Can you say Brand Lift? Innovative earlier adopters like Dolce & Gabbana, Philippe Starck, Diane von Furstenberg (I guess Mr. Diller approves) the Beastie Boys and even Lance Armstrong have already taken the leap. slot mobile apk down… on Trademark Free Zone?